#947 House Cozies. 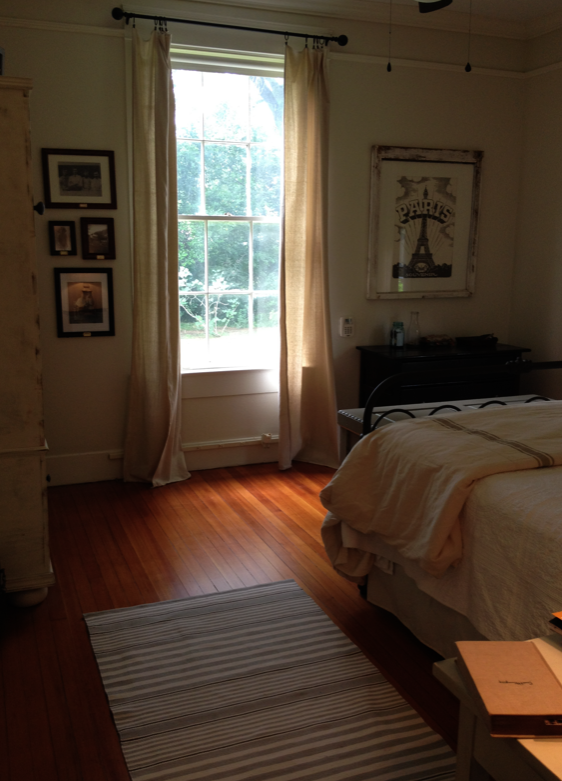 – Laurel Mercantile Co.
Now reading: #947 House Cozies. I made a few little updates and additions around the house today. Some cozifiers, if you will. 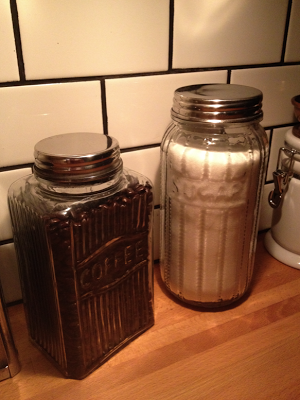 First, we found these great glass canisters for the sugar and coffee at Tuesday Morning. Ben’s gone to using whole bean coffee so it’s actually a really handy, functional thing. They remind me of canisters Meemaw Clark had that she stored sugared orange slice candies in. 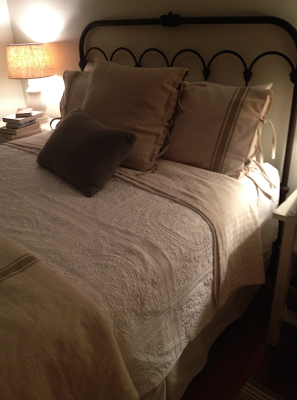 I like the look of thin, textured, layered blankets on a bed in similar colors. I’m not a fan of the Bed in a Bag look. We’ve been sleeping under a cotton blanket and sheet at night and it’s almost just right… But I always get cold in the night and have to roll to the middle where the furnace sleeps. So today I threw on an old white matelasse quilt that should make it just cozy enough. Then I finally realized what the room was missing. 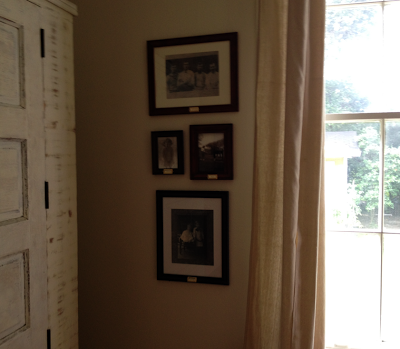 There are family photos in every room of the house except ours! 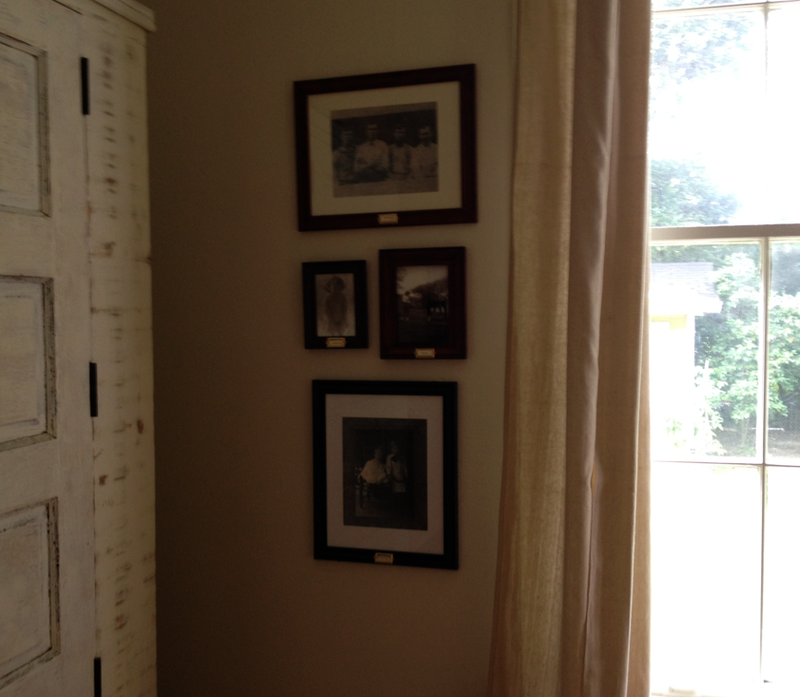 So I framed a few of the Pickerings and grouped them together by Ben’s armoire. 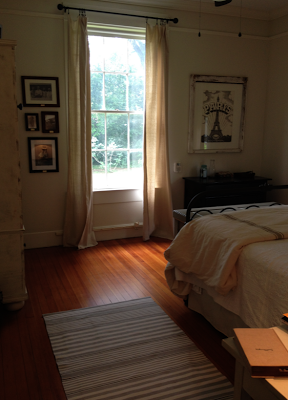 Now the room feels like people live here.